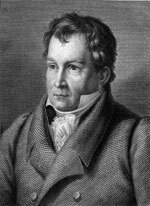 Ludwig Tieck was born in Berlin where he studied philosophy and theology before moving to Jena where he encountered Friedrich Schlegel and Novalis, as well as Fichte and Schelling. He knew both Schiller and Goethe. He became quickly renowned for his skills as a novelist, fabulist and writer of comedies, sometimes writing under the allegorical name of Peter Leberecht. He was one of the few great German writers of the period to visit England (in 1817) where he studied Shakespeare; both he and his daughter Dorothea were deeply involved in the preparation (with August von Schlegel) of German translations of the complete works of Shakespeare. Tieck’s most important official position was as Dramaturg at the Dresden Hoftheater. In this position he showed an interest in mounting a production of Schubert’s opera Alfonso und Estrella, but this came to nothing. That Tieck was aware of Schubert is attested by an article he wrote for the Dresdner Theaterzeitung in February 1828 where the composer’s name is bracketed with that of Conradin Kreutzer as an important Viennese composer. 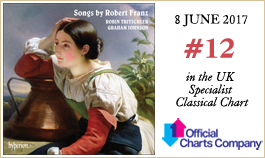 The small number of Tieck songs in the lieder repertory show that Schubert was not the only composer who found his writing almost too rich in word-music to encourage musical setting. The best-known Tieck settings, the fifteen songs of Brahms’s mighty cycle Die schöne Magelone, occur within a much longer prose narrative, a work where the poems are fashioned in deliberately simple ballad style to suggest medieval minstrelsy. These ‘Peter Leberecht’ poems seem more susceptible to musical setting than the works which Schubert encountered in 1819.